Amid an overall market correction, many stocks that smart money investors were collectively bullish on tanked during the fourth quarter. Among them, Amazon and Netflix ranked among the top 30 picks and both lost around 20%. Facebook, which was the second most popular stock, lost 14% amid uncertainty regarding the interest rates and tech valuations. Nevertheless, our research shows that most of the stocks that smart money likes historically generate strong risk-adjusted returns. This is why following the smart money sentiment is a useful tool at identifying the next stock to invest in. In this article we are going to take a look at Kraft Heinz Co (NASDAQ:KHC) and try to determine whether it could be a worthy addition to your portfolio. Kraft Heinz Co (NASDAQ:KHC) investors should be aware of an increase in support from the world’s most elite money managers lately. The company was in 37 hedge funds’ portfolios at the end of the third quarter of 2018, which is up by 10 from the previous quarter. In spite of this recent bullishness the company was not one of the 30 most popular stocks among ALL hedge funds. Still, that doesn’t necessarily mean it is not worthy of your attention, which is why we are going to carefully examine it further in the article. In the 21st century investor’s toolkit there are dozens of methods stock market investors can use to assess publicly traded companies. Some of the less known methods are hedge fund and insider trading sentiment. Our researchers have shown that, historically, those who follow the best picks of the elite fund managers can outperform the broader indices by a superb amount (see the details here). Now, we going to take a glance at the key hedge fund action surrounding Kraft Heinz Co (NASDAQ:KHC). What have hedge funds been doing with Kraft Heinz Co (NASDAQ:KHC)? At the end of the third quarter, a total of 37 of the hedge funds tracked by Insider Monkey were long this stock, a change of 37% from one quarter earlier. 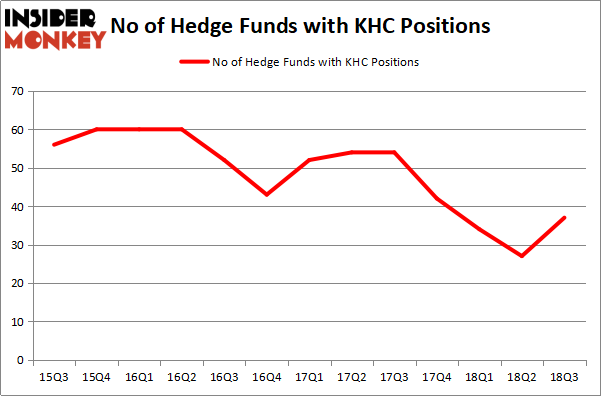 By comparison, 42 hedge funds held shares or bullish call options in KHC heading into this year. So, let’s review which hedge funds were among the top holders of the stock and which hedge funds were making big moves. 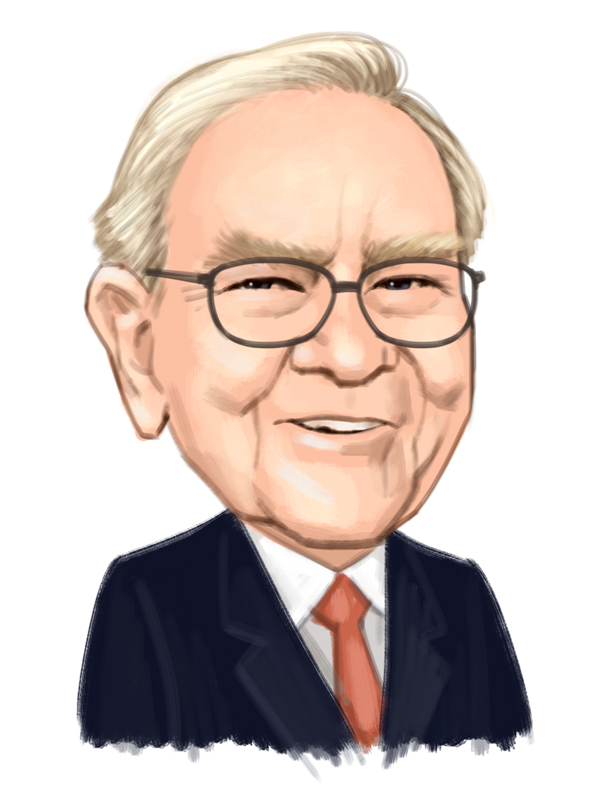 More specifically, Berkshire Hathaway was the largest shareholder of Kraft Heinz Co (NASDAQ:KHC), with a stake worth $17945.7 million reported as of the end of September. Trailing Berkshire Hathaway was Citadel Investment Group, which amassed a stake valued at $364 million. D E Shaw, Element Capital Management, and Millennium Management were also very fond of the stock, giving the stock large weights in their portfolios. As aggregate interest increased, some big names have jumped into Kraft Heinz Co (NASDAQ:KHC) headfirst. Element Capital Management, managed by Jeffrey Talpins, assembled the biggest position in Kraft Heinz Co (NASDAQ:KHC). Element Capital Management had $133 million invested in the company at the end of the quarter. John A. Levin’s Levin Capital Strategies also made a $84.5 million investment in the stock during the quarter. The following funds were also among the new KHC investors: George Soros’ Soros Fund Management, Gregg Moskowitz’ Interval Partners, and Benjamin A. Smith’s Laurion Capital Management. Let’s also examine hedge fund activity in other stocks – not necessarily in the same industry as Kraft Heinz Co (NASDAQ:KHC) but similarly valued. We will take a look at Stryker Corporation (NYSE:SYK), Aetna Inc. (NYSE:AET), Charles Schwab Corp (NYSE:SCHW), and Automatic Data Processing, Inc. (NASDAQ:ADP). This group of stocks’ market valuations are similar to KHC’s market valuation. As you can see these stocks had an average of 53 hedge funds with bullish positions and the average amount invested in these stocks was $5.03 billion. That figure was $19.06 billion in KHC’s case. Aetna Inc. (NYSE:AET) is the most popular stock in this table. On the other hand Automatic Data Processing, Inc. (NASDAQ:ADP) is the least popular one with only 35 bullish hedge fund positions. Kraft Heinz Co (NASDAQ:KHC) is not the least popular stock in this group but hedge fund interest is still below average. This is a slightly negative signal and we’d rather spend our time researching stocks that hedge funds are piling on. In this regard AET might be a better candidate to consider a long position.